My first degree was in Politics with Economics. My background prior to academia is varied: I spent several years in industry, both employed and running my own business, have been involved in script writing, films and sales and then returned to academia to do a doctorate in psychology, which was awarded in 2002. I worked in the area of social psychology for 3 years, and then joined the Southampton Business School in 2005, where I have been engaged in research and teaching in the areas of ethics, entrepreneurship, sustainable business and corporate social responsibility to UG, PG and MBA students. I was thrilled to win the ESRC Outstanding Impact in Business and Enterprise Award for this research into the environmental impacts of hairdressing. You can see details of what we’ve achieved here and a short video here. I have conducted research with businesses on their understanding of Corporate Social Responsibility. A more specific study focussed on SMEs ‘Understanding the attitudes and behaviours of SME owner/managers in response to the inclusion of Corporate Social Responsibility (CSR) criteria in procurement strategies of large organisations: with consequent practice and policy implications’. Additional current projects relate to ethical issues in the news sector, which involved interviewees with news editors and senior journalists from Reuters, BBC, Sky News, Al Jazeera and ‘Positive News as well as freelance journalists. I was awarded an impact grant from the ESRC to disseminate our research outcomes – ‘Updating current ‘news values’ to reflect research on impacts of news presentation on viewers/readers’.You can hear more in the Guardian podcast here. This interview was deconstructed by medialens in an article. You can also hear a 5 minute soundscape incorporating interviews with Cubans here. Inspired by my research trips to Cuba, I decided it was time to make available more objective information about the unique island of Cuba via the medium of a musical project. In collaboration with the School of Music, I launched a project where we ask students to write songs for a brand new musical about Fidel Castro and the Cuban revolution. The next deadline is 3rd April 2017. I have written the script and provided space for 20 songs. We then judge them and the winners are chosen for the musical. It's been hugely successful with over 750 schools/colleges signed up and some great songs. I am working with colleagues from Kings College London and the International Institute of Cuban Studies, exploring sustainable business models in the biotech sector in Cuba. CSR discourse; efficacy of teaching methods in CSR and ethics; how to embed sustainability practices in corporate policies and HR practices, ethical consumption, moral capital. I am the Liaison Officer for the UN principles of Responsible Management Education (www.unprme.org) and have been involved in integrating issues of ethics, responsibility and sustainability throughout the curriculum. This has also involved developing research networks and collaborations in this area and engaging in outreach activities with local businesses and community organisations, for example a service learning scheme whereby entrepreneurship students worked with local social enterprises as part of their coursework. 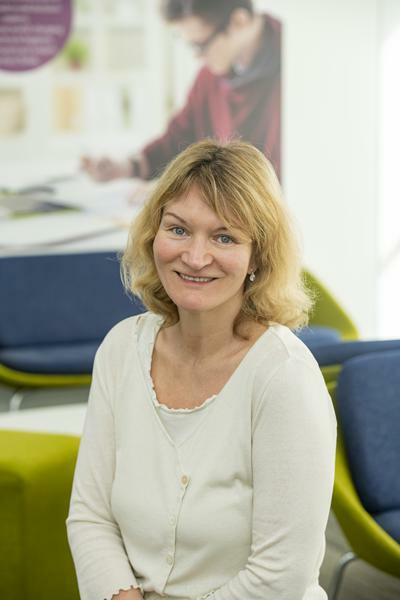 I am the founder and Chair of the University of Southampton Green Group, Sustainability Officer for the Business School and also sit on the Ethics Committee and the Diversity and Equality Board in the School. Baden, D. (2018). Environmental storytelling can help spread big ideas for saving the planet. The Conversation. Baden, D. (Accepted/In press). On Western Bias Against Cuba. International Journal of Cuban Studies, 16-18. Baden, D. (2016). Our musical 'Fidel' will try to puncture the polarised debate about Castro. The Conversation, 1. Baden, D. (2016). What the US can learn from Cuba during Obama’s historic visit. The Conversation, 1. Baden, D. (2015). Shock! Horror! Behind the ethics and evolution of the bad news business. The Conversation. Baden, D. (2015). The buck stops elsewhere: how corporate power trumps politics. The Conversation. Baden, D., & Wilkinson, S. (2014). Socially responsible enterprise in Cuba: a positive role model for CSR? International Journal of Cuban Studies, 6(1), 55-86. Baden, D., & Parkes, C. (2013). Experiential learning: inspiring the leaders of tomorrow. The Journal of Management Development, 32(3), 295-308. Baden, D., Harwood, I., & Woodward, D. (2011). The effect of procurement policies on downstream corporate social responsibility activity: content-analytic insights into the views and actions of SME owner/managers. International Small Business Journal, 29(3), 259-277. Ciliberti, F., Baden, D., & Harwood, I. A. (2009). Insights into supply chain pressure on CSR-practice: A multiple-case study of SMEs in the UK. Operations and Supply Chain Management, 2(3), 154-166. Baden, D. A., Warwick-Evans, L., & Lakomy, J. (2004). Am I nearly there? The effect of anticipated running distance on perceived exertion and attentional focus. Journal of Sport & Exercise Psychology, 26(2), 215-231. St Clair Gibson, A., Baden, D. A., Lambert, M. I., Lambert, E. V., Harley, Y. X., Hampson, D., ... Noakes, T. D. (2003). The conscious perception of the sensation of fatigue. Sports Medicine, 33(3), 167-176. Baden, D., Dror, I. E., & Warwick-Evans, L. A. (2000). The dynamics within and between decisions. The Cognitive Neuroscience Laboratory: Abstracts. Baden, D. (2014). Hairdressers and sustainability - showing how our research impacts upon society. In Inspirational guide for the implementation of PRME. Placing Sustainability at the Heart of Management Education (PRME (Principles for Responsible Management Education)). London, GB: Greenleaf Publishing. Baden, D. (2014). Integrating ethics into business school teaching – the importance of positive role models. In Inspirational guide for the implementation of PRME. Placing Sustainability at the Heart of Management Education (PRME (Principles for Responsible Management Education)). London, GB: Greenleaf Publishing. Baden, D. (2013). Applying social psychology to the challenge of embedding CSR into the Business School curriculum. In J. Ahmed, & D. Crowther (Eds. ), Education and Corporate Social Responsibility: International Perspectives Bingley, GB: Emerald Group Publishing Limited. Baden, D. (2013). No more ‘preaching to the converted’: embedding ESD in the Business School curriculum through a service-learning initiative. In R. Atfield, & P. Kemp (Eds. ), Enhancing Education for Sustainable Development in Business and Management, Hospitality, Leisure, Sport, Tourism London, GB: Higher Education Academy. Baden, D. (Accepted/In press). Motivation and learning at work. In M. J. Ashleigh, & A. Mansi (Eds. ), Work Psychology: Inderstand how people and organisations fit together in the 21st century Maidenhead, UK: McGraw Hill Education. Baden, D. (2010). CSR: An opportunity for SME's. In C. Louche, S. O. Idowu, & W. L. Filho (Eds. ), Innovative CSR: From Risk Management to Value Creation Sheffield: Greenleaf. Sedikides, C., Wildschut, R., & Baden, D. (2004). Nostalgia: conceptual issues and existential functions. In J. Greenberg, S. L. Koole, & T. Pyszczynski (Eds. ), Handbook of Experimental Existential Psychology (pp. 200-214). New York, USA: Guildford Press. Wilson, M., Baden, D., Davis, C., & Wilkinson, S. (2017). Ecological public health in practice? The cuban approach to food and pharma. Paper presented at Social Policy Association Annual Conference , Durham, United Kingdom. Baden, D. (2017). Professional identity as an unexplored motivator for sustainable practices. Paper presented at 6th International Conference on Social Responsibility, Ethics and Sustainable Business , Berlin, Germany. Baden, D. (2017). Revisiting the question of ‘what is CSR?’: the implicit/explicit dichotomy. Paper presented at 6th International Conference on Social Responsibility, Ethics and Sustainable Business , Berlin, Germany. Baden, D. (2017). The differential effects of exposure to positive and negative role models and news stories on behaviour. Paper presented at Making people feel bad: what is the role of negative appeals in marketing? , London , United Kingdom. Grigore, G., Molesworth, M., & Baden, D. (2016). Business-NGO relationships in Romania: individualism, projectisation and adiaphora in social responsibility.. Paper presented at International Society for Markets & Development 14th Biennial Conference, Peru. Baden, D. (2016). Cuban business models: the musical!. Paper presented at EBEN Research Conference 2016, Italy. Baden, D. (2016). Diffusing sustainable hair-care practices through engagement with hairdressers.. Paper presented at The European Conference on Sustainability, Energy & the Environment., United Kingdom. Baden, D. (2016). Digital corporate social responsibility. The International Conference on Social Responsibility, Ethics and Sustainable Business (ICSR 2016), Italy. Baden, D. (2016). Fidel' A musical by the people for the people. A reflection on a process of musical development based on crowdsourcing, crowdfunding and audience participation.. Paper presented at Third International Workshop on the Sharing Economy (IWSE3), United Kingdom. Baden, D. (2016). Professional identity as a motivator for sustainable practices within the hairdressing sector.. Paper presented at European Business Ethics Network, Italy. Baden, D. (2015). Engaging society in the search for Utopia via a musical project. Paper presented at 16th Annual International Conference of the European Utopian Studies Society, . Baden, D. (2015). Ethical issues in the news sector: Hidden from view. Paper presented at EBEN Annual Conference, Istanbul, Turkey. Baden, D., Wilkinson, S., & Davis, C. (2015). Ethics in Pharma: a case study from Cuba. Paper presented at BAM2015 Conference: The Value of Pluralism in Advancing Management Research, Education and Practice, United Kingdom. Baden, D. (2015). 'Fidel the musical' and hairdressers – turning research into impact. Paper presented at BAM2015 29th Annual Conference: The Value of Pluralism in Advancing Management Research, Education and Practice, United Kingdom. Baden, D. (2014). Engaging hairdressers in pro-environmental behaviours. Sustainable Lifestyles Research Group, United Kingdom. Baden, D. (2014). Good management theories for good management practice: reflections from students on their business school curricula. Paper presented at Learning and Teaching Conference, United Kingdom. Baden, D. (2013). Carroll’s pyramid of CSR is upside down!. Paper presented at British Academy of Management Annual Conference, United Kingdom. Baden, D., & Prasad, S. (2013). Engaging SMEs in pro-environmental behaviours: a high-impact study of sustainability solutions for the hairdressing industry. Paper presented at Sustainable Business Conference, United Kingdom. Prasad, S., & Baden, D. (2013). Engaging SMEs in pro-environmental behaviours: Innovative Sustainability Solutions for the Hairdressing Sector. Paper presented at Global Sustainability Institute Annual Conference, United Kingdom. Baden, D. (2013). Integrating responsible management education into assessment: a case study. Paper presented at 2013 PRME Summit - 5th Annual Assembly, Slovenia. Baden, D. (2013). Responsible leadership in practice. Sustainability, Ethics, and Social Responsibility, United Kingdom. Baden, D. A. (2013). What hairdressers can tell us about sustainability. TEDx SouthamptonUniversity: Sustainability, United Kingdom. Baden, D. (2012). Exploration of the construct of moral capital. Paper presented at EBEN Annual conference - 25th Annual Conference of the European Business Ethics Network: Work, Virtues and Flourishing, Spain. Baden, D. (2012). The effect of normative beliefs on ethical intentions: implications for pedagogy. Paper presented at EBEN Annual Conference, Spain. Baden, D. A., & Cory, M. (2012). The effect of positive vs negative role models of business on student attitudes and intentions. Paper presented at British Academy of Management Annual Conference, United Kingdom. Baden, D. A., & Prasad, S. (2012). The role of pro-environmental behaviours in engaging SMEs in CSR: a study of the hairdressing sector. Paper presented at 2nd INTERREG Conference on Socially Responsible and Sustainable Entrepreneurship and Innovation, United Kingdom. Baden, D. (2012). Unintended consequences of business ethics education. Paper presented at 11th World Congress of the International Federation of Scholarly Associations of Management, Ireland. Baden, D. (2012). What is the secret of strategic philanthropy? Timing!. Paper presented at 11th World Congress of the International Federation of Scholarly Associations of Management, Ireland. Baden, D. (2011). Applying social psychology to the teaching of ethics: Are we ‘norming’ unethical behaviour?. Paper presented at 16th General Meeting of the European Association of Social Psychology, Sweden. Baden, D. (2011). Opening business students eyes: Embedding ethics through service learning. Paper presented at 22nd Annual Meeting of the International Association for Business and Society (IABS) "Modern Slavery? Well Being in the 21st Century Workplace", United Kingdom. Baden, D., Meyer, E., & Tonne, M. (2011). Which types of strategic corporate philanthropy lead to higher moral capital?. Paper presented at 22nd Annual Meeting of the International Association for Business and Society (IABS) "Modern Slavery? Well Being in the 21st Century Workplace", United Kingdom. Baden, D. A., & Harwood, I. A. (2010). Corporate social responsibility on trial: a panacea or fundamentally flawed concept?. British Academy of Management Conference 2010, United Kingdom. Harwood, I. A., & Baden, D. A. (2009). Corporate social responsibility: what's in a name?. Paper presented at British Academy of Management Conference, . Baden, D., Harwood, I. A., & Woodward, D. (2008). The effect of supply chain drivers on SMEs motivation to engage with CSR activities: a psychological perspective. Paper presented at AIB-UK & Ireland Chapter Conference (AIB-UKI), United Kingdom. Baden, D. (2008). The end is nigh: psychological and physiological effects of anticipating the end of exercise. Paper presented at 28th Annual Scientific Meeting, United States. Baden, D., Harwood, I. A., & Woodward, D. (2008). The impact of buyer pressure on SMEs to demonstrate CSR activities: evidence of the ceiling effect. Paper presented at European Business Ethics Network (EBEN) Conference 2008, . Baden, D., Harwood, I. A., & Woodward, D. (2007). Attitudes of SME owner/managers towards supply chain pressures to engage in CSR. Paper presented at British Academy of Management Conference 2007, . Baden, D., & Chell, E. (2006). Economic and social entrepreneurs: are they cut from the same cloth?. Paper presented at British Academy of Management (BAM) Annual Conference 2006, . Baden, D., & Chell, E. (2006). The development of an entrepreneurial personality construct. Paper presented at British Academy of Management (BAM) Annual Conference 2006, . Baden, D., Wildschut, T., & Sedikides, C. (2004). Nostalgia as a defence mechanism against loneliness. Paper presented at British Psychological Society Annual Conference, . Baden, D., Wildschut, T., & Sedikides, C. (2003). Nostalgia as a self-relevant emotion: triggers, content and functions. Paper presented at BPS Social Psychology Section Conference, . Baden, D. (2001). Anticipation of the end: the effect on psychological, physiological and performance variables. In A. Papaioannou, M. Goudas, & Y. Theodorakis (Eds. ), Proceedings of the International Society of Sport Psychology 10th World Congress of Sport Psychology (pp. 66-69). Thessaloniki, Greece: Christodouldi. Baden, D. (2001). Anticipation of the end: the effect on pyschological, physiological and performance variables. Paper presented at Annual British Psychological Society Conference, . Baden, D. (2001). Anticipation: the influence of expected task duration on cognitive strategies, perceived exertion and heart rate during a running task. Paper presented at One Day Faculty Conference for Research Students, United Kingdom. Baden, D. (2001). The influence of expected task duration on cognitive strategies and perceived exertion during a running task. In A. Papaioannou, M. Goudas, & Y. Theodorakis (Eds. ), In the Dawn of the New Millenium: Proceedings of the 10th World Congress of Sport Psychology (pp. 145-147). Thessaloniki, Greece: Christodoulidi. Baden, D. (2000). The end is nigh: psychological and phsyiological effects of anticipating the end of exercise. In Proceedings of the 28th Annual Scientific Meeting, British Psychophysiological Society (pp. 38). UK: British Psychophysiological Society. Baden, D. (2012). Engaging hairdressers in pro-environmental behaviours. London, GB: The Economic and Social Research Council. Baden, D., & Wilkinson, S. (2016). The contrasting leadership styles of Fidel and Raul Castro. Southampton, GB: Leadership. Baden, D., Davies, C., & Wilkinson, S. (2015). Profit vs health? Comparing the business models of Cuban and US pharma. Southampton, GB: University of Southampton. Baden, D., & Wilkinson, S. (2014). Social responsibility: application of good practices in the Cuban tourism and hospitality industry. Yateley, GB: Nova Publications. Baden, D. A., Harwood, I. A., & Woodward, D. G. (2008). The effect of buyer pressure on suppliers to demonstrate CSR: an added incentive or counterproductive? (Discussion Papers in Management; No. M-08-04). Southampton, GB: University of Southampton. Dr Denise Baden from Southampton Business School and Carole Burns Head of Creative Writing, University of Southampton have just completed a successful short story competition. We expect the resulting anthology of short stories ‘Resurrection Trust’ to be published in spring 2019 by Retreat West publishers. Royalties will be put towards prizes for a series of competitions next year, with more formats (film, screenplays, radio plays, stage plays, TV series, full-length novels etc.) and larger prizes and media involvement. Details are on www.greenstories.org.uk . We are currently living beyond our means – if everyone lived as we do in the UK we’d need 3 planets, so the aim of sustainable development is to find ways of living where there is less wasteful distribution of resources. We need to work out ways that we can all have what we need using fewer resources and be just as happy. The necessary societal transformations to sustainable societies require profound systemic changes across social, cultural, economic, environmental, political and technological domains. But to imagine how all aspects can come together within one society is more the domain of creative fiction. Therefore this competition aims to harness the creative visions of writers to imagine sustainable societies. Stories are powerful means of inspiring positive change. The Black Mirror series reflects anxieties about our future, and climate change discourse further creates fear and avoidance. What we really need are some positive visions that allow potentially transformative solutions to be showcased and played out. The difficulty in promoting sustainable behaviours is that they are often seen negatively as ‘doing without’ and the typical fear-based discourse can turn people off. This matters as in turn, political parties tend not to see environmental issues as ‘vote winners’ which limits potential for green policy making. We plan to run a competition on a much larger scale next year, with more formats (film, screenplays, radio plays, tv series, full-length novels etc.). We hope this will create a cultural body of work showcasing sustainable solutions. We are keen to hear from any producers, commissioning editors, agents etc. who can work with us in the next round of competitions to translate winning entries into actual programmes, films, plays and novels. We’d love to get sponsorship from organisations that share values of sustainability, creativity and positivity to sponsor a prize. We’d also love to hear from well-known authors, script writers or TV personalities with an interest in the environment to present prizes. In 2012 we ran the Green Salon Makeover, working with hairdressers to discover more environmentally friendly hairdressing practices. Baden D., Prasad S. (2014) Applying behavioural theory to the challenge of Sustainable Development: Using hairdressers as diffusers of more sustainable hair-care practices. Journal of Business Ethics. We now offer a certification scheme for salons – watch our promo video. Our hope now is to internationalise the project, especially in countries that suffer from water shortages and are keen to hear from hair sector bodies across the world. Sample: 205 respondents, mixed gender, age, nationality, and occupation. Method: Online survey: quantitative. Respondents exposed to positive and negative versions of similar news stories, e.g. negative condition: news extract on war in Syria, news extract on destruction of coral reefs; positive condition: news extract on peace talks with Iran, news extract on oceans becoming cleaner. Order counterbalanced: half did positive then negative, and half negative/positive. After each condition respondents described their feelings in their own words, and then on a Likert scale rated how calm/anxious, happy/sad, optimistic/pessimistic they felt. Respondents then rated their behavioural motivations to a) donate to charity (1 much more motivated – 7 much less motivated), b) be environmentally friendly, c) make opinions known, d) generally to take action to make the world a better place. They also specified which kinds of news – positive or negative – they prefer and which catches their attention and why. Results: Negative news decreased mood and positive news stories increased positive affect. But the most interesting finding was that positive news stories gave rise to significantly higher motivation to take positive actions (donate to charity, be environmentally friendly, make opinions known etc.) than negative news stories. Another pertinent finding was that in the positive condition there was a significant and strong positive correlation between how positive their mood was and how motivated they were to take positive action. Conversely, in the negative condition there was an inverse correlation, and the more anxious/pessimistic/sad the stories made them feel, the less motivated they were to take action. Finally there was an overwhelming stated preference for positive news stories over negative news stories, although most respondents said negative stories were slightly more likely to grab their attention. Sample: 15 high quality interviewees from key players in the news industry: news editor from BBC Radio 4 news, head of BBC online news, news editor from regional BBC, one journalist from regional BBC), news editor of Reuters, 2 Reuters journalists, news editor from Positive News, 4 freelance journalists, journalist from Al Jazeera, news editor from Sky News. Method: news editors and journalists whose job it is to decide what is in the news were interviewed on the subject of what is newsworthy, ethical issues in the news, and issues related to the negative bias in the news. Results: although all interviewees thought that they and their colleagues had high professional integrity and held the ethical codes of journalism relating to objectivity, freedom from bias etc. close to their hearts, there was little to no awareness of the negative bias in the news and its potential consequences. It was clear in the interviews that information was routinely selected to give an unbalanced picture of the world. For example several examples that came up in the interviews showed how news is selected to make it appear that hospitals are performing worse than they are, that crime is worse than it is etc. It was also clear that even the journalists themselves often found the gruesome content of war images distressing but still thought it their duty to portray them as uncensored as possible to the public. Justifications were related to duty to hold those in power to account, to inform so that public can take action, and that negative news sells, and public are free not to consume it if they don’t want to. The news editor from positive news and some of the freelance journalists believed that the adversarial relationship between the media and politicians hindered good democracy, negative bias in the news created feelings of disengagement and powerlessness and that backlash against positive news as being fluffy or propaganda had gone too far in the other direction. These results can be discussed in light of research that shows that we are biologically adapted to pay attention to alarming information, so freedom of choice to switch off negative news is compromised, and in light of research showing stated preferences for positive news, and mental health effects relating to consumption of negative news. Baden D, and Wilkinson S: (2014) Socially responsible enterprise in Cuba: a positive role model for CSR? International Journal of Cuban Studies. Vol. 6(1) p55-86. You can hear a 5 minute voicescape of interviews done with Cubans about Fidel Castro on YouTube. However, I thought it might be fun to take a more innovative approach to disseminating information, so in collaboration with the School of Music, I have launched a project where we are asking students to write songs for a brand new musical about Fidel Castro and the Cuban revolution. It is open to all students/songwriters and the deadline for part 2 is 31st March 2018 - Fidel the musical website. Details on The Conversation website. I wrote the script and provided space for 20 songs, and we are asking music students (often in collaboration with English, History, Politics, Spanish students for the lyrics) to submit songs. We then judge them and the winners are chosen for the musical. It's been hugely successful with over 800 schools signed up, for more information visit Fidel the musical website. We have just released our top song from the musical - the spine-tingling live version of Hasta la Victoria written by Alfie Aukett and gut-wrenchingly sung by Ralph Skan. It's available to buy from all online music sites for 99p. The first act is complete (90Mins) and functions as a self-contained musical and is free for schools/colleges/theatre groups to put on. We are still soliciting songs for part 2.